Ten Green Bottles Review. As anyone acquainted with the Brighton food and drink scene will know, our city is not short of the odd boozer or two. Central Brighton is awash with pubs and bars – barely a street goes by without a drinking den or cocktail bar waiting for your custom. 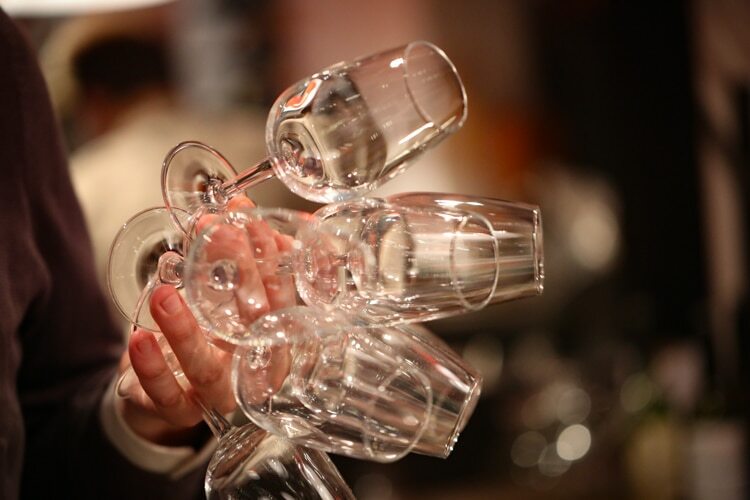 The number of establishments that cater to a more ‘grown up’ audience is, however, fewer and farther between, making Ten Green Bottles unique in its offer of carefully selected quality wines. TGB Is actually half shop, half bar – the walls lined with bottles available to buy, or a variety of cosy seating areas offering drink-in space. 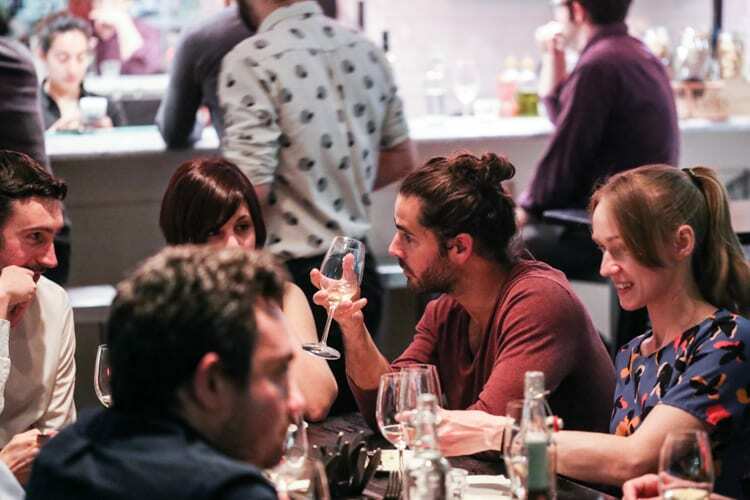 If the thought of a wine bar evokes affected, snobby know-it-alls, however, think again. Pretentious this is not, making it the ideal spot to stretch your taste buds and give something new a try. It’s a firm favourite of mine for this very reason – I frequently pop in for a glass (or two), and have previously experienced the extensive tasting session (with very generous sample sizes to boot). 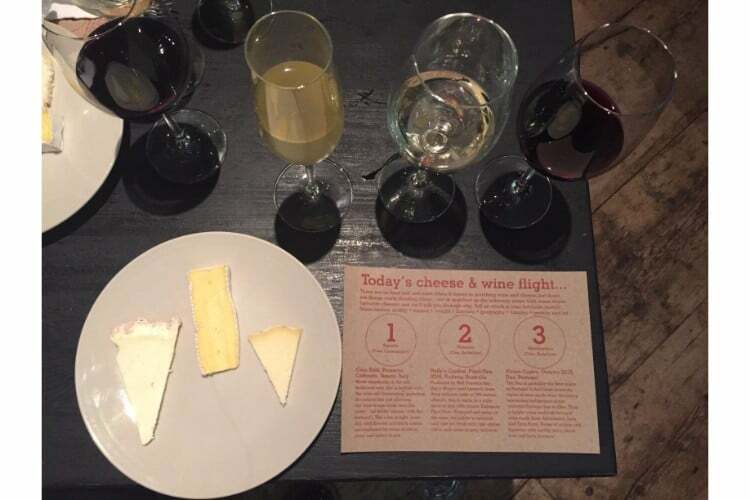 I was excited to have the opportunity to try their new cheese and wine flight. 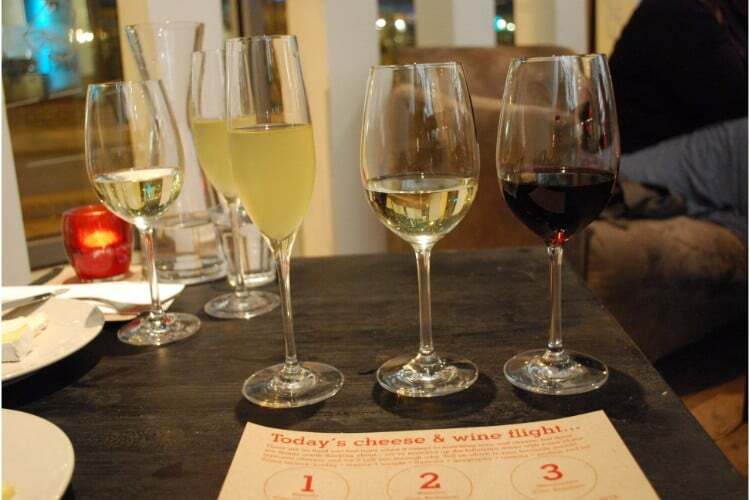 The flight comprises three wines and three cheeses. 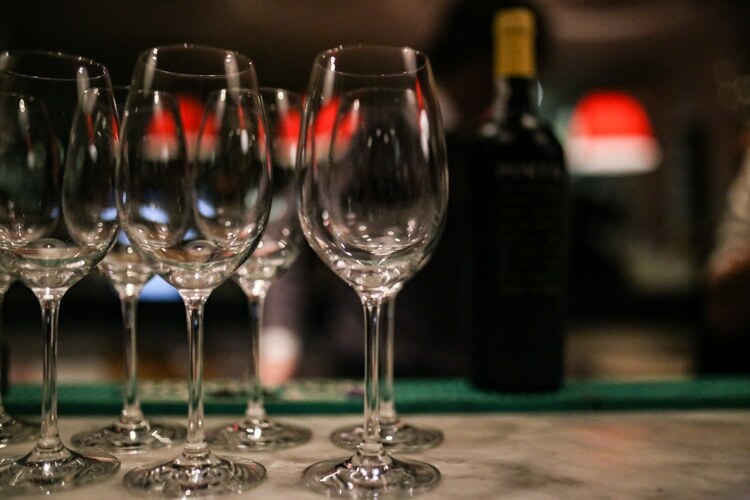 Our wines were served simultaneously, making for a cacophony of mouth-watering options. The handy guide given by our server talked through the options and the suggested order of tasting. We started with a prosecco (Prosecco Coldondo, Casa Belti), a cloudy looking fizz which we were reassured was quite normal thanks to the old-fashioned processing: the prosecco is bottled with the wine still fermenting. It makes for a very dry and less sparkling version of what we often call Prosecco, and was a refreshing change to the ubiquitous fizz. Served alongside it was a creamy vignotte cheese, so smooth and buttery I could have easily eaten another portion or two. Next up was an Australian pinot gris (2016 Holly’s Garden), a fruity, full bodied white with notes of apple. I was feeling pretty smug to have identified a key ingredient and was then reliably informed by our waiter that it was important to know it wasn’t just any apple – it was yellow apple. The wine was well paired with a mild waterloo cheese from Berkshire; brie-like in taste and consistency. Two generous glasses in I was starting to feel very relaxed for a Wednesday evening, and looking forward to finishing our trio with a red. The final glass didn’t disappoint – a Portuguese outeiro (2015 Alvaro Castro) from the Dao region. With a deep, dark berry flavour spiked with liquorice and herb notes, this wine packed a punch and finished the flight perfectly. 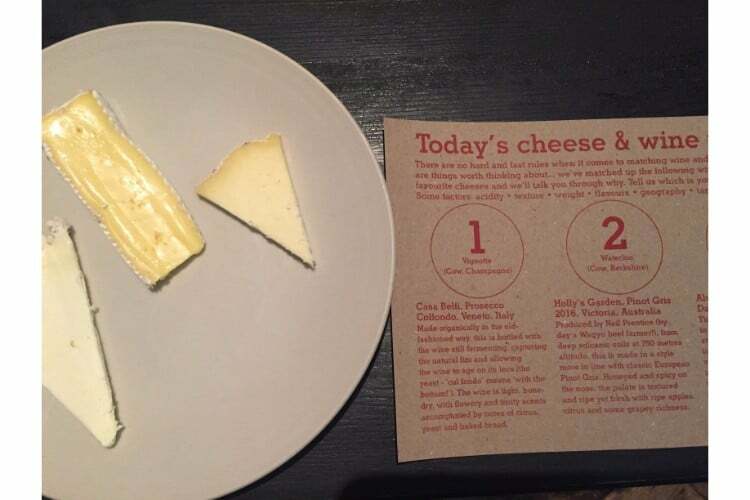 Alongside it we ate a Wensleydale, a crumbly and nutty cheese that didn’t overpower the wine but sat beside it comfortably. Ten Green Bottles has become a Brighton institution since it opened seven years ago, and rightly so. 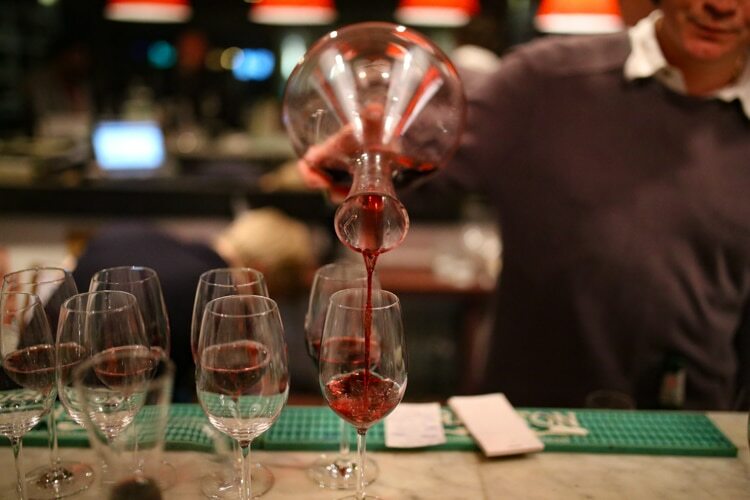 The relaxed atmosphere, attention to quality and accessibility to anyone from connoisseur to beginner makes it the ideal spot to step outside your drinking comfort zone and enjoy what some of their best wines have to offer. 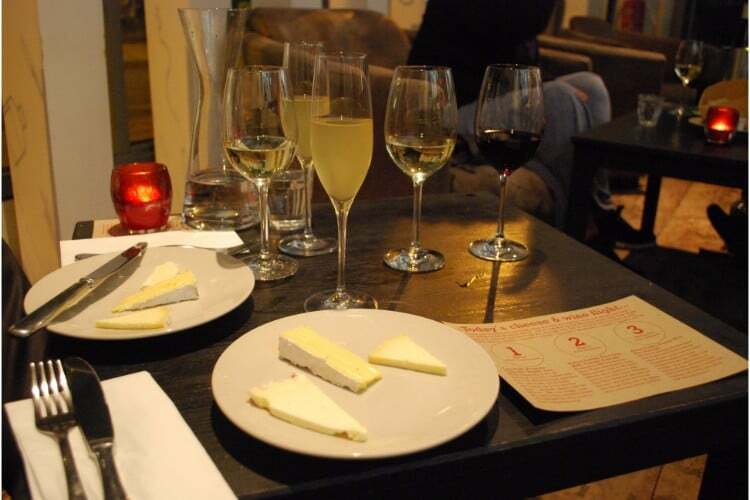 If you’re looking for a mini-experience that gives you the opportunity to try something new, I would thoroughly recommend the cheese and wine flight. And if you’re in the market for a quick glass in a stylish, central location, you won’t regret popping in.